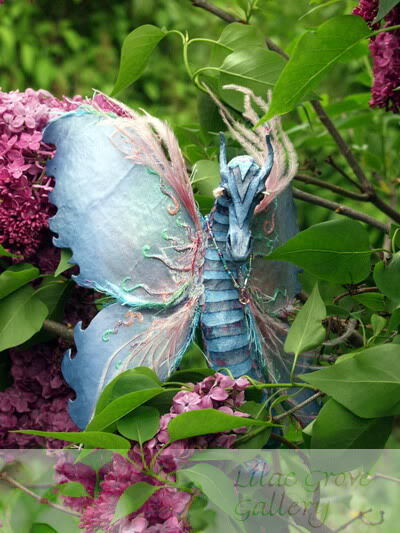 Lilac Grove ~ Paper Sculptress: Enchanted Ground - Faery Fest 2012! Enchanted Ground - Faery Fest 2012! I'll be there with some new creatures from the Grove, including a collaborative duo! Karen Waschinski (of Scratching at the Window) and I created this pair, entitled "Spring Reunion." 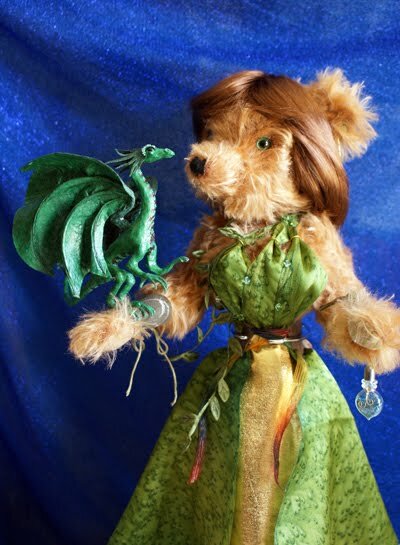 Karen lovingly created Lady Teah, the soft sculpture bear and I sculpted one of my tiniest dragons yet, a mere 3 3/4 inches, to perch on her arm. 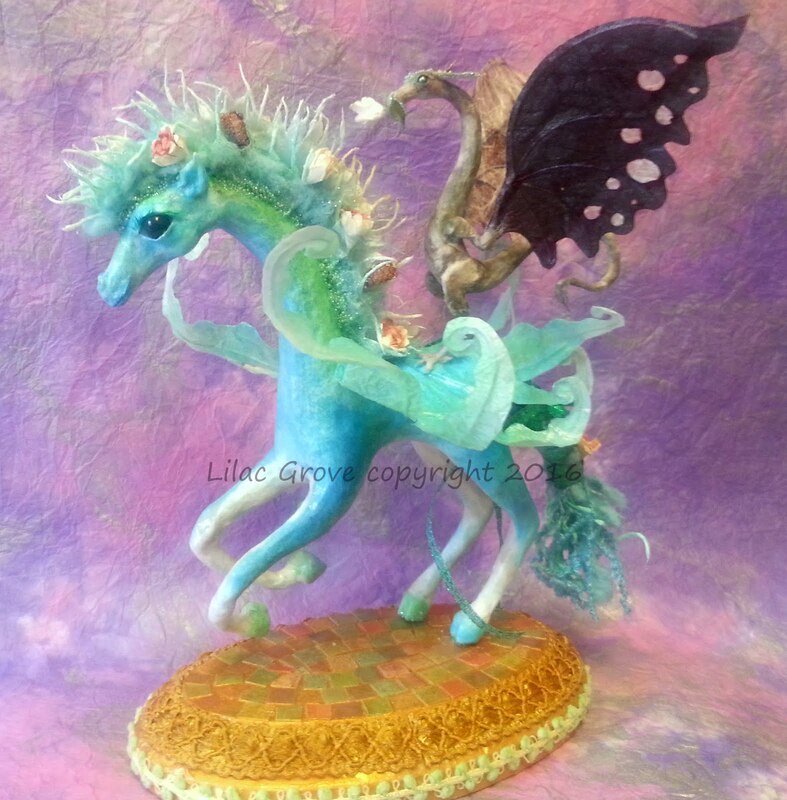 If you'd like to see this pair in person, come out to Faery Fest! I'll also have some other new pieces at the festival; including Fantasy Masquerade Masks & Faery Mushroom sculptures - stay tuned for preview pics! Thank you Tammi! I look forward to seeing you there!